1) Flip-up lens for maximum safety and comfort. 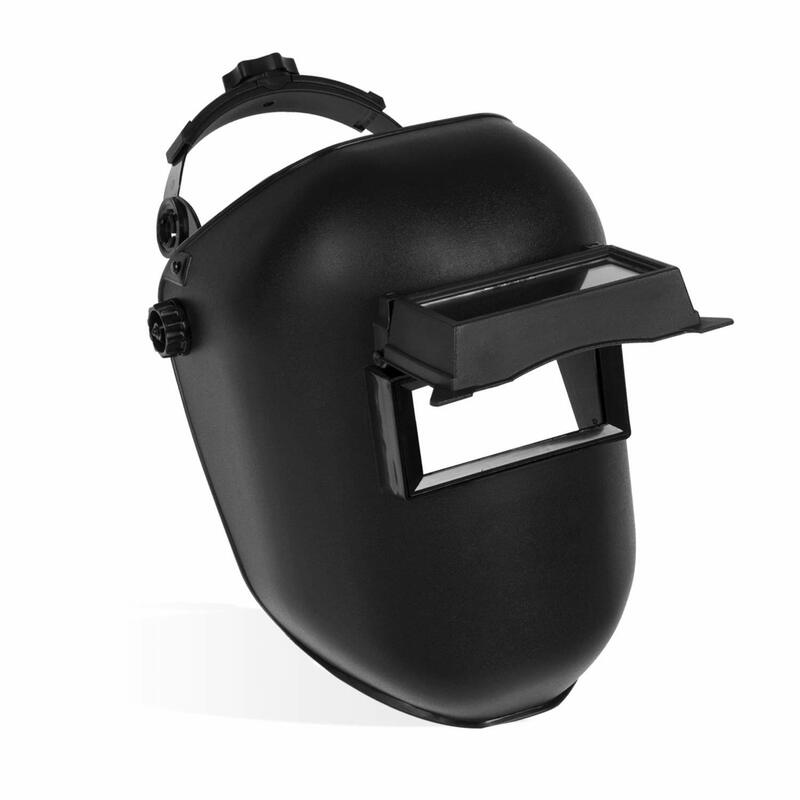 2) Compliant with ANSI EN175 requirements for safety eyewear. 3) Adjustable headband for the right fit. So, in a nutshell, it is decent helmet for the money. It is, of course, not as good as a self darkening mask, but the dark lens flips up. You can keep the mask in place when arranging your next weld. Also, the clear lens works great for grinding, compared to glasses that let metal chips hit your face and neck. It is well made, but not heavy, since it is a mask and not a helmet. My only complaint is the clear lens under the shade #11 lens. When I was welding on a trailer outside, the sunlight from behind me was causing a nasty glare on the lens, and made it almost impossible to see out.